Let Roth Performance build you the ultimate competition shotgun. 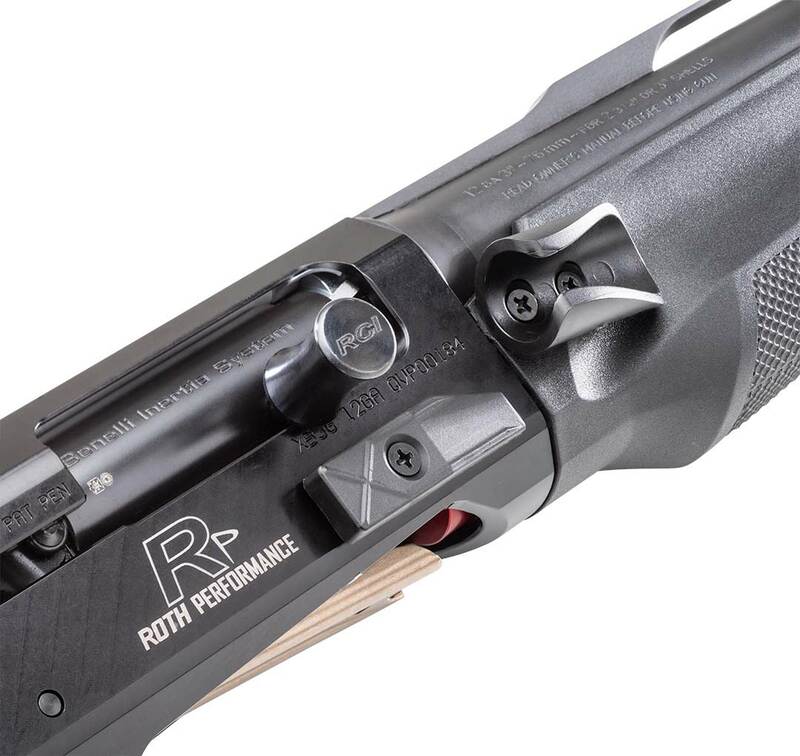 All of our builds whether built on a customer supplied gun, or a gun supplied by Roth Performance must meet the highest build standards to create a serious competition gun. Need a little gun smithing work? Choose from our ala cart services. All custom work is performed in our Performance Shop. Typical turn around time is 4-8 weeks. Before shipping, you will need to email us at sales@rothperformance.com with the address and phone number of your local FFL holder/gun dealer where you would like us to ship the gun. The Mark Roth Signature XB3G Competition Shotgun is the premier competition ready shotgun available on the market today. The MR Signature model comes complete with all the custom features needed to begin competing in 3-Gun competition. There are a few additional options available, but few are needed as this model comes complete right from the Performance Shop. Built on the XB3G Quad Vaccum Port Receiver designed with all the receiver modifications built-in eliminating the need to mill and grind the stock receiver. Custom builds require the customer supply FFL information for shipment. Allow 4-8 weeks for completion. Looking to compete in the Open Divisions? 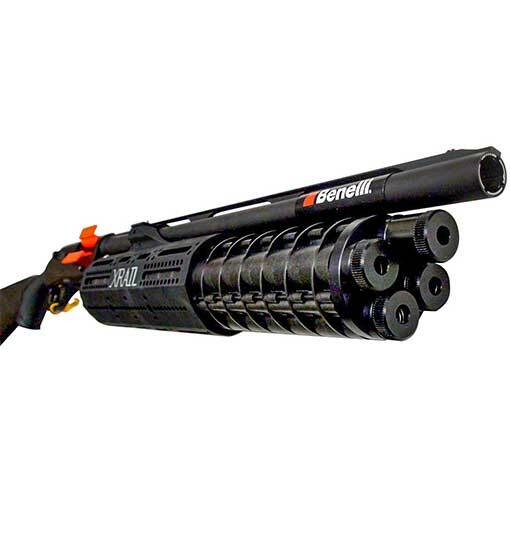 The Integrated XRAIL Benelli M2 is proven to be the answer to high-capacity shotguns. Competition proven and used by many of the top Open Division competitors, the XRAIL system offers up to 26 rounds of birdshot. Built on the proven Benelli M2 shotgun platform. Have a favorite shotgun that you want to customize? The Performance Shop offers several performance packages with additional options allowing you to build your gun your way. Choose from a number of Roth Performance parts to upgrade your stock shotgun. Captured Follower Connector for Factory Tube? Capture Follower factory replacement tube And Captured Follower? Listed below you’ll find the optional services that can be ordered with most of our Performance Packages. Each package lists the options that are available for each specific shotgun platform. Foregrip Cut Back for QUAD Loading $30.00? PLEASE NOTE: You must provide a gun dealer/FFL Licensee to handle the transfer of the gun to you according to your State laws, you may have to pass a background check or other requirements. Your Dealer/FFL Licensee may charge you a fee for this service. Please make sure you notify the gun dealer that you are having the gun shipped to them and make sure you will pass the background check. PLEASE NOTE: Roth Concept Innovations will not ship XRAIL Systems or XM2XI Integrated XRAIL to the District of Columbia, CA, CO, IL (Aurora and Chicago only), MA, NJ, NY, or OH (Columbus, Cleveland, Cincinnati or Toledo only) due to current state or local legislation banning products like the XRAIL System. It is your responsibility to know and follow all Federal, State, local laws and legislation relevant to purchasing/owning/using any Roth Concept Innovation product. For more detailed information, go to our FAQ’s page under Support. WARNING: There are some states where some/all of our products are not legal and the list changes often. It is your responsibility to keep informed about current laws that affect where you live. Please check your current local and state laws before you purchase any RCI products. We will not ship any products to states where we know our products are banned. Please see FAQ for more info.